Have you ever touched the wings of a moth or butterfly and gotten some “powder” on your fingers? That powder is actually tiny scales, like on a fish or lizard, or like the feathers of a bird. 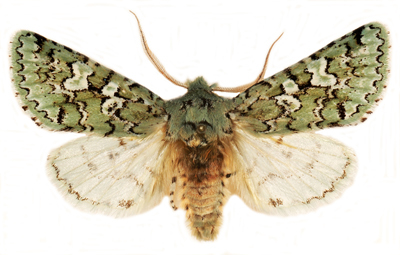 These scales give butterflies and moths their scientific name Lepidoptera (from the Greek Lepido = scale, and ptera = wing). Each scale can be a different color and when placed next to each other, the mosaic makes up the color patterns we see. 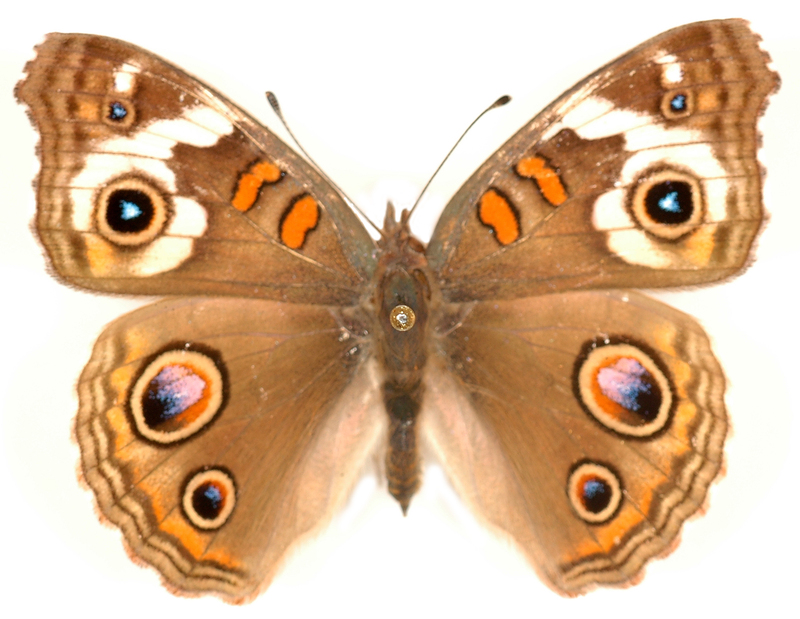 Some are brightly colored to warn that this species does not taste good (aposematism), or look like distasteful species (Batesian mimicry), while others look like eye spots to startle predators (image to the left), and still others form a camouflage pattern to blend in with their background. 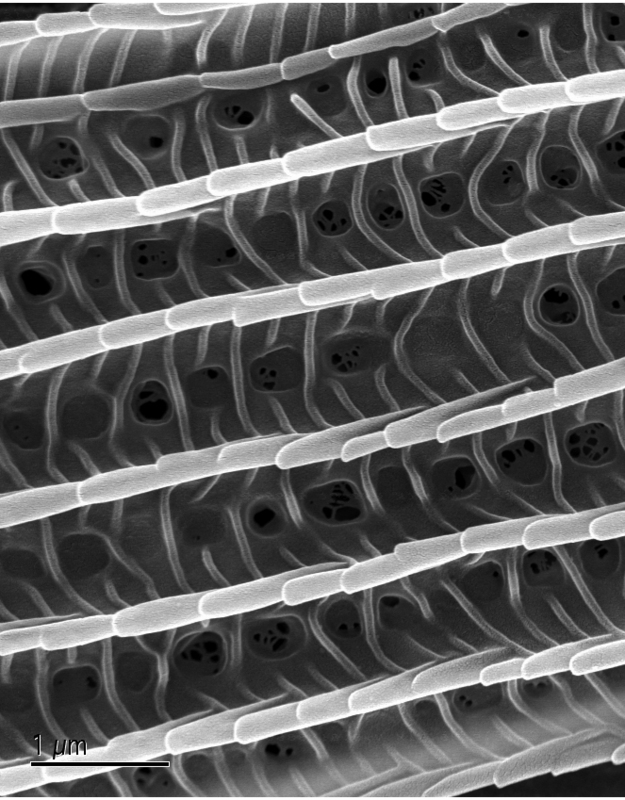 Most colors are caused by pigments that form inside the individual scales and reflect light through holes on the scale surface (image to the right), while others, especially blues, are structural and result from light refracting off of ridged surfaces, like looking at the underside of a DVD. 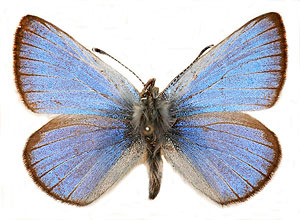 For more information on how blue (structural) colors are formed on butterflies watch KQED’s Deep Look episode “What gives the morpho butterfly its magnificent blue?” featuring the research of Essig Museum faculty affiliate, Dr. Nipam Patel. 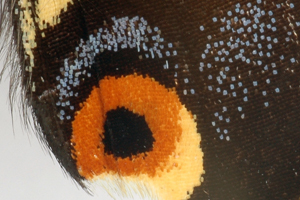 To see butterfly scales under a microscope visit the Lawrence Hall of Science.